Protecting your teeth from sports and sleep. There are many sources of trauma to teeth, but two of them can be avoided with the right equipment. Sports such as hockey and football can open your teeth to injury – if not protected. 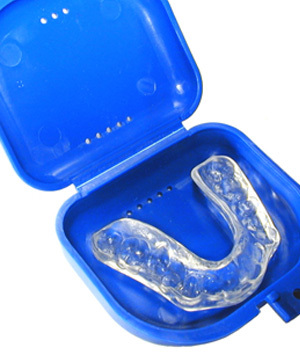 Our custom mouth guards can help protect your teeth from injury. Sometimes during sleep, you can grind or clench your teeth. This is referred to as "bruxism". Not only can you chip teeth and cause headaches, but you can also damage previous dental work such as fillings. Wearing an appliance during sleep can ensure that your teeth and previous dental work aren't damaged. To find out if either of these options are a good fit for you, contact us today.